Make sure to tag all your social media posts throughout the week. We will be giving away some great stuff on Facebook. 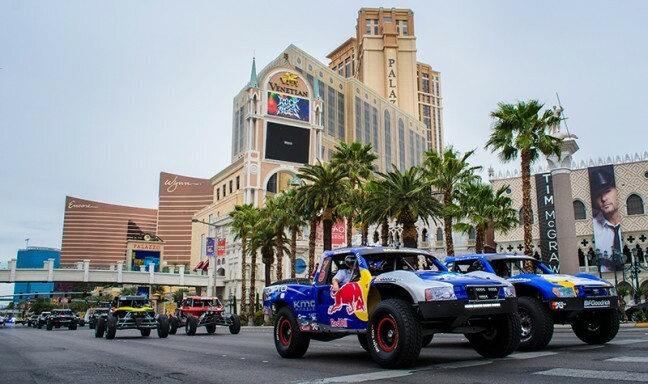 For the second consecutive year, the world’s toughest off-road race vehicles will parade down world famous Las Vegas Blvd during the 4 Wheel Parts Mint 400 Vehicle Parade. Grand Marshal Parnelli Jones will lead the parade of 100 off-road vehicles to kick off the 2014 General Tire Mint 400 presented by Polaris RZR. Prior to the parade, The Mint 400 will host the first annual ‘Shoot and BBQ’ open to the general public, at Battlefield Vegas beginning at 11:30am. Following the parade, there will be a kick off party at Backstage Bar & Billiards. Rugged Radios would like to invite you to come and meet the racers of The Mint 400. Get autographs for your walls, photos for your social media, lessons for life and anything else you’d want to say to your favorite off-road racer. Method Race Wheels has put up $5,000 in cold hard cash and a stunning custom made trophy to the fastest overall qualifier for the 2014 General Tire Mint 400 presented by Polaris RZR. The best off-road racers in the world will come and battle it out for a top start position at The Greatest Off-Road Race in America™. The results from the Method Race Wheels Time Trials will be announced at 5:30pm on 6th and Fremont. Get there early! Seating is limited. The sexiest competition in off-road is back! 8 finalist have been invited to Las Vegas to compete in the 2014 General Tire Miss Mint Competition presented by Metro Honda. Finalists will compete for the Grand Prize: the Miss Mint Crown, $5,000, a professional photo shoot, a Race-Dezert.com feature, AND a brand new 2014 Honda vehicle for a year! 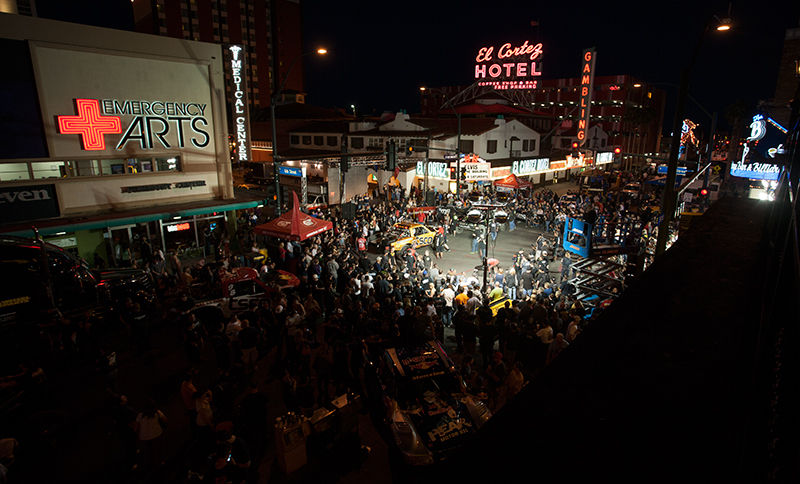 * The 2014 Miss Mint 400 will be crowned from 6:00-6:30PM on 6th and Fremont. In off-road racing, one pit stop can be the difference between winning and losing a race. The Mint 400 is proud to announce the return of the KMC Wheels Pit Crew Challenge, presented by Currie Enterprises. The battle begins at 6:30pm on 6th and Fremont. Prizes include a set of KMC Wheels, an Impact Over the Wall X-Lite helmet and a Racer Two Piece suit, a prize package from Ironclad and a set of FOX OEM shocks for each winning competitor. Bob Wayne and his merry band of Outlaw Carnies are headed to the 2014 General Tire Mint 400, presented by Polaris, to headline an evening of music and libations, immediately following the KMC Wheels Pit Crew Challenge presented by Currie Enterprises! This is the first-ever musical act to join the world famous Mint 400 race and festivities. Admission is $10. Show starts at 10PM. The 2014 Mint 400 Tech & Contingency will cover an incredible ten square blocks this year! 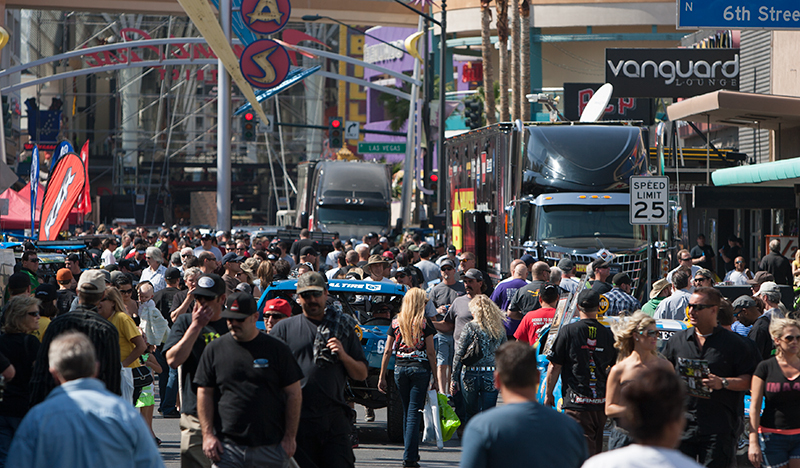 With over one hundred vendors packing the streets of Las Vegas, there is something for the entire family. Rekon Raptor Alley: FREE parking to all Ford Raptor owners. Pro Armor UTV Showcase: A showcase of all the leading UTV manufacturers in the industry. Rally Road: Yes, the rally cars are coming including Olsberg MSE’s Supercar Lites and Southwest Rally. Builder’s Showcase: The top builders in the industry will be setting up stunning displays including Jimco, Geiser, RaceCo and Brenthel Industries. Memory Lane: The rich historical significance will always be a part of The Mint 400 so come check out the 18 vintage vehicles we will have on display down Memory Lane. Dirt Theater: Bragging Rights 3 delivers non-stop action from the greatest Off-Road races 2013 had to offer. From the Parker 425 and the Mint 400 to legendary Baja 1000 this DVD is a must have for any motorsports fan. Bragging Rights 3 will be playing all day at Dirt Theater and have an official premiere immediately following the drivers meeting at 8PM inside The Grand at the Golden Nugget. It’s go time! The Great American Off-Road Race™ will set a new world record, when a field of fifty-five Trick Truck vehicles leave the start line and battle on Saturday March 15th, for their annual epic 400-mile off-road marathon. Trick Trucks are the premier class of off-road racing vehicles, and will lead the massive group of three hundred and twenty-five total race vehicles, spread across twenty different classes. The overall winner of the Mint 400 will receive $10,000 by our friends at FOX and custom Champion watches from Oakley Watches.